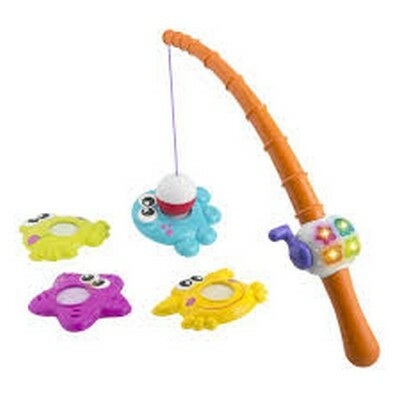 The Fishing Island comes with a fishing rod which is triggered when the 4 colourful fishes are caught, by activating amusing lights and sounds. Sound and light feedback when the fish has been caught. Electronic game modes to learn identifying shapes and colours. The light suggests which fish to take. The island is also supplied, which the child must step on to improve his balance.